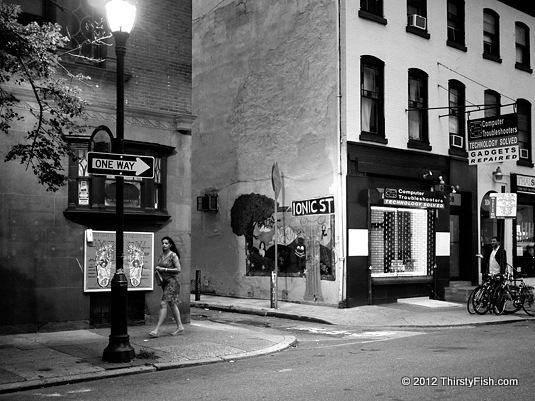 Philadelphia has hundreds of luring alleyways. 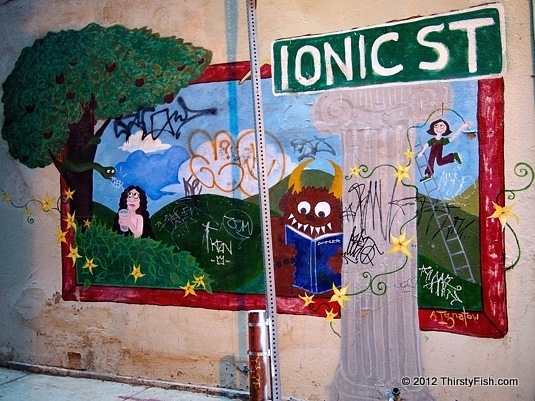 The pictured alley, named Ionic Street, is probably a reference to the Ionic order, one of the three styles of classical Greek architecture. The Doric, Ionic, and Corinthian orders are most easily recognizable by their column types. The Ionic order, originated in the 6th century B.C. Ionia, the central Western coast of Anatolia. The ancient city of Philadelphia was also established in this region. Isn't it ionic?